Lantos, the first and only Holocaust survivor ever elected to Congress, was perhaps the unlikeliest UW graduate of them all. I made it maybe 10 feet inside the grounds of Yad Vashem, the Israel holocaust memorial, before I choked up. Despite it being a warm March day in Jerusalem, I felt anything but sunny: tears welled up as I made my way down the path called the “Righteous Among The Nations.” It honors those who risked everything to save the Jews during the Holocaust. With every step I took, I could feel my heart pounding in my ears. In my chest, the very palpable sense of dread and repulsion grew as I neared the entrance to the triangular building featuring the exhibits. The memorial’s design is insidiously ingenious, making you feel like the walls are closing in and that you are trapped forever among the horrors. 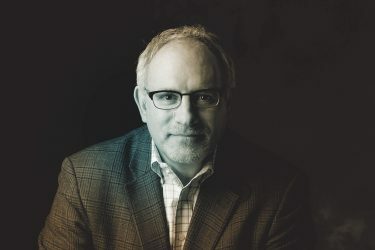 Ironically, though, once I was inside and my eyes locked onto the lone source of light at the opposite end of the building, I felt a glimmer of hope—in the form of a UW grad by the name of Thomas Peter Lantos. The Lantos family were Hungarian Jews. At the age of 16, the boy from Budapest was separated from his family and sent to a Nazi labor camp. He escaped, was captured and beaten but he escaped again. This time, he hid with an aunt who lived in a safe house run by Raoul Wallenberg. Thanks to his “Aryan” looks—blond hair and blue eyes—the teenager was able to move around Budapest, sneaking food and medicine to fellow Jews in hiding. But his deeds were not rewarded in the end; when Budapest was liberated in January 1945 and he was no longer hunted by the Nazis, Lantos learned that the rest of his family had perished. 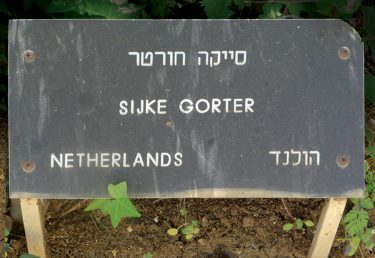 A plaque honoring a Dutch woman who provided forged documents and hid Jews from the Nazis on display along the “Righteous Among The Nations” path at Yad Vashem, the Israel holocaust memorial. So he left Europe for this glorious place called America, and decided he wanted to settle in Seattle and attend the UW. He would go on to become one of the greatest advocates for human rights this nation has ever seen. He remains the first—and only—Holocaust survivor ever elected to Congress. It was his legacy that gave me hope amid the museum’s exhibits of suffering and cruelty. Lantos, who died in 2008, perhaps the unlikeliest UW graduate of them all, spent his life standing up for the oppressed. Once outside the grounds of Yad Vashem, I couldn’t wait to tell my traveling companions—20 alumni and friends who joined me on a UW Alumni Tours trip to Israel—about Lantos and his humane imprint on the world. I don’t think I have ever been prouder to be a Husky.